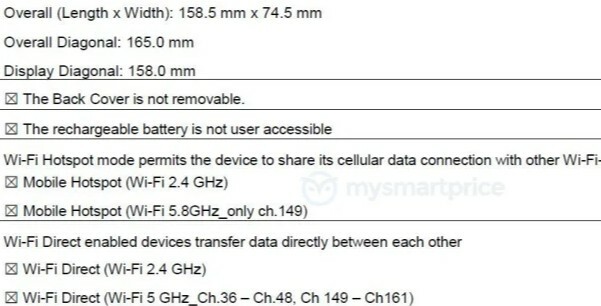 The upcoming Samsung Galaxy A50 has surfaced at the FCC, and this listing reveals that it will come with the EP-TA200 fast charger, so the handset supports 15 W wired fast charging. The Galaxy A50 apparently features a 6.22-inch display, although some previous rumors suggested that it sports a 6-inch touchscreen. Samsung's Galaxy A50 mid-range handset visited the Wi-Fi Alliance and Bluetooth SIG last month, and now it landed at the US certification authority FCC. Although some details are still in the shade, this new listing confirms most connectivity-related details, its dimensions, and the fact that the retail package contains the EP-TA200 fast charger. According to the aforementioned FCC data, the Samsung Galaxy A50 measures 6.24 x 2.93 inches and its display has a 6.22-inch diagonal, which contradicts some previous rumors that mentioned a 6-inch Super AMOLED display. In terms of connectivity, the FCC filings mention the following: dual-band Wi-Fi 802.11 a/b/g/n/ac, Bluetooth 5.0 LE, ANT+, the Samsung EP-TA200 fast charger (15 W wired charging). The previous leaks mentioned the Exynos 7 9610 octa-core processor with Mali-G72 MP3 graphics, up to 6 GB of memory, 64 GB or 128 GB internal storage. This handset will probably have a microSD slot as well, but its presence has not been confirmed yet. Finally, there is also an unconfirmed 4,000 mAh battery in the cards, as well as a triple-camera setup on the back, similar to that used in the Galaxy A7 (2018). There is no official release date or pricing to talk about yet, but it shouldn't take long until Samsung finally reveals the Galaxy A50, so stay tuned.